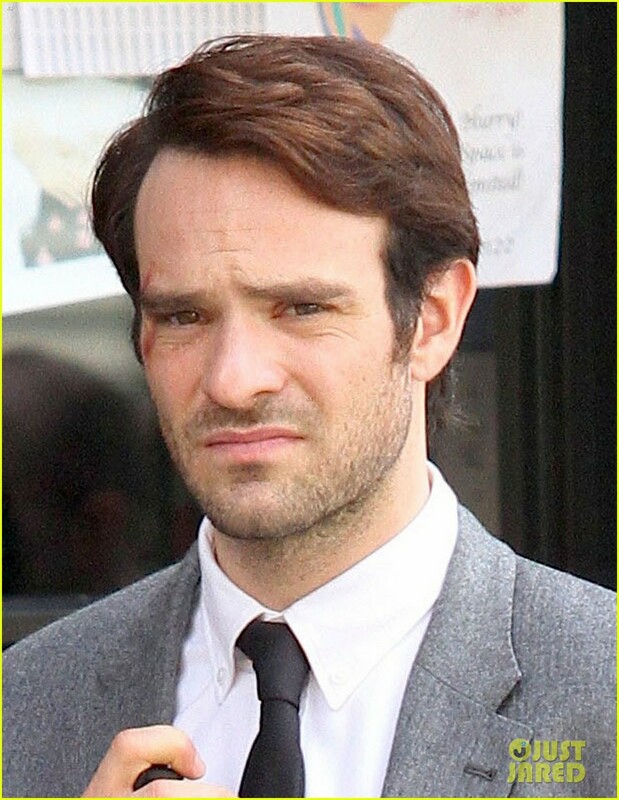 Leaked photos from the set of Netflix's Daredevil series have revealed Charlie Cox's Matt Murdock. 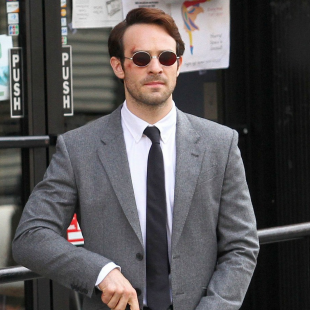 Early last month images and video emerged giving Daredevil fans their very first peek at Marvel's in-the-works series for Netflix. Not that they showed very much, mind you. Don't get me wrong, they were still interesting and it was nice to see hints that the series will be utilizing the hero's classic origin story. That said, there's only so much excitement you can muster over vague images of a truck accident and footage of a child screaming "I can't see!" 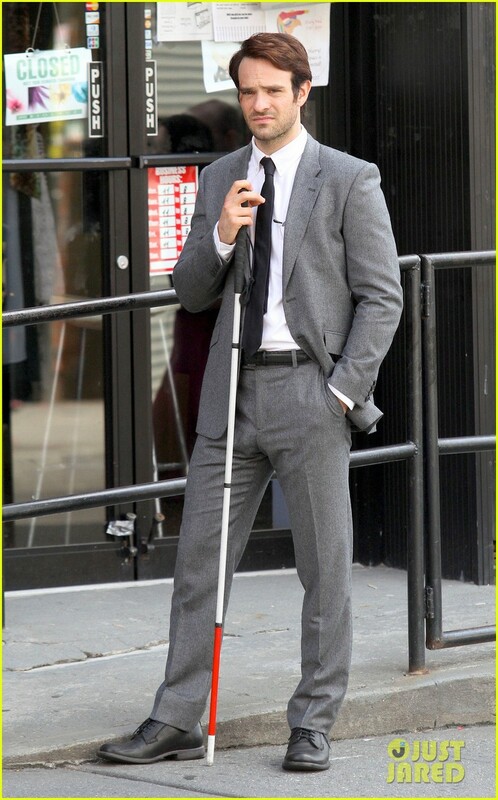 A man walking around in a suit with a cane, however? Now we're talking. 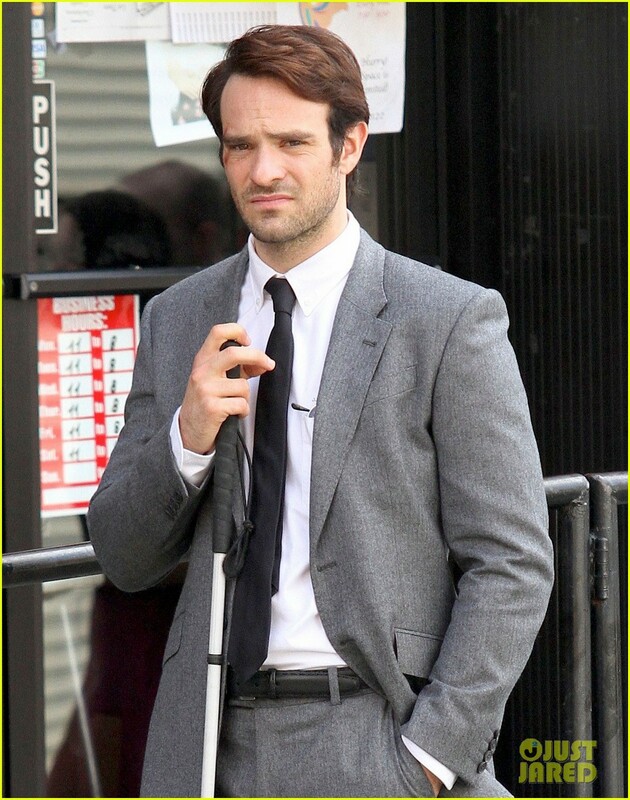 Granted, it does make things a tad more notable when the man in question is actor Charlie Cox dressed as series' protagonist Matt Murdock. 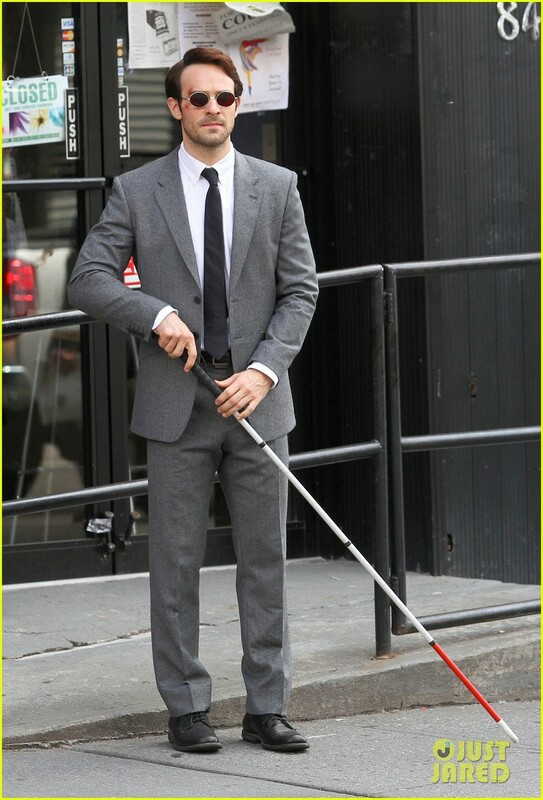 The images, which were obtained and released by the folks at Just Jared, show Cox garbed as Murdock in a grey suit, holding a cane and (in several images) wearing sunglasses. He noticeably also has a bruise next to his right hand eye that I'm going to go on a limb and assume is a product of his evening vigilante romps. 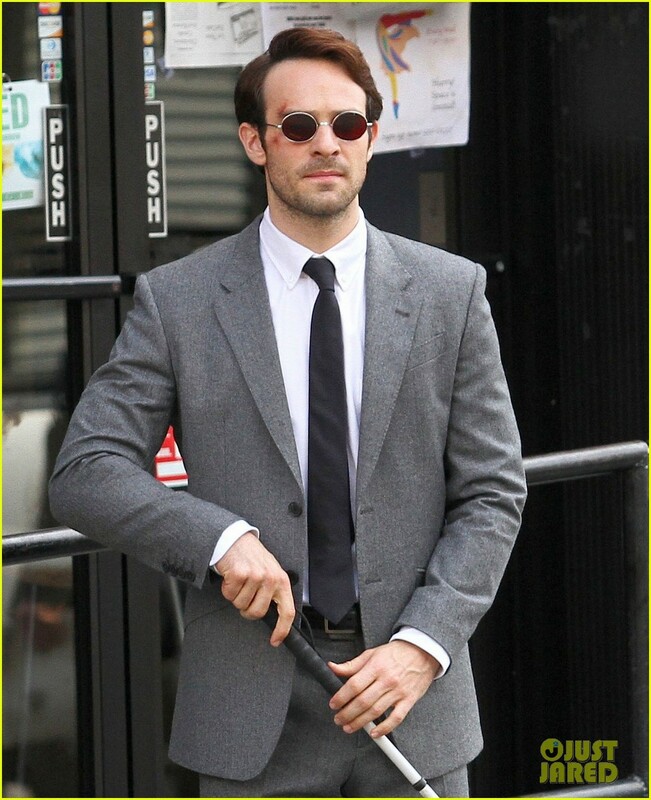 All in all, while it will obviously be more interesting to see Cox in his actual Daredevil costume, I have to say that I really like the way the show seems to be portraying Murdock. My impression of the character has always been that he's the last guy you'd ever expect to be a superhero. Cox's take on the character, based on these pictures, very much succeeds in that regard. I look at this guy and see someone less likely to pummel villains to a pulp with fists than they are to complain about their latte at Starbucks. Granted, I suppose he could still ruin it by having a totally subtle acrobatic melee bout in a playground in broad daylight. That said, I'd like to believe that Marvel learns from its mistakes. Take a peek at the pictures and let us know what you think.